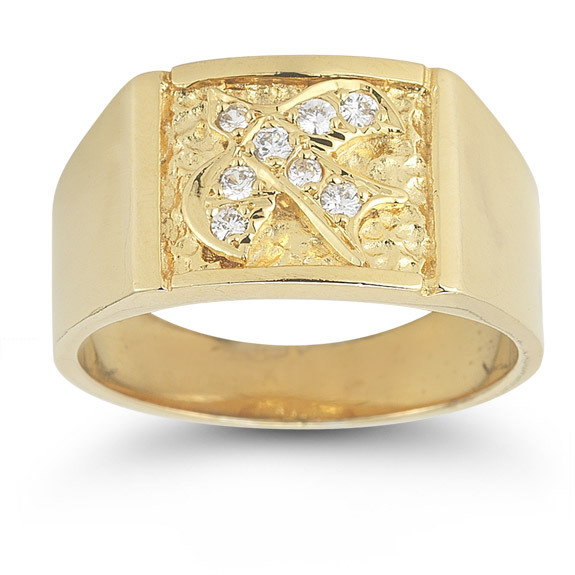 Adorn yourself with a piece of jewelry that speaks volumes about your faith and your style sense with this Apples of Gold Christian-inspired ring for men. Forged of the finest 14K yellow gold, the ring shows off a wide, polished band that frames a golden-textured surface at the top. This centerpiece is defined by a Holy Spirit dove that echoes Christian values. The dove is given a brilliance factor with eight round cut diamonds set within, making this a ring of high style and value. We guarantee our Christian Dove Diamond Holy Spirit Ring in 14K Yellow Gold to be high quality, authentic jewelry, as described above.